The Name Before offering a prayer at the inauguration of President George W. Bush, Franklin Graham was asked by a fellow participant if he intended to pray in the name of Jesus Christ. Graham assured him that he would and encouraged this pastor to do the same. As Graham reminded him, ""That's the only thing we've got."" In days of religious confusion and cultural relativism, Franklin Graham reminds us that there are absolutes in the kingdom of God. The Name explains the significance of names in the Hebrew culture, centering on the meaningfulness of the name Jesus. 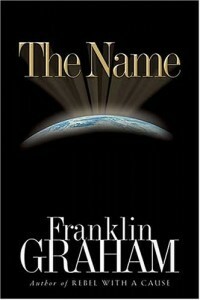 Chapters focus on the different aspects of power in the Lord's name, such as "Healing in the Name" and "Salvation in the Name."